In this article, we will learn the random module’s sample method. We also learn when should it be used and examples that demonstrate it’s usage. The sample() method returns a k length list of unique elements chosen from the population sequence or set, used for random sampling without replacement. In simple term, we use the sample method to select a k length random number from a sequence or list in such a way that each number is unique. I.e., We use a sample() method when we want to pick more than one random element from a sequence. For example, random.sample(population=[2,5,7,8,9], k=3) this will return [7,5,8]. Note The sample() method used for random sampling without replacement. sample method has two arguments, and both are required. The population can be any sequence or set from which you want to select a k length numbers. The sequence can be String, list. k is the number of random items you want to select from the provided population. sample method raises a type error if you miss any of the required arguments. A sample method returns a new list containing k length elements from the list or sets. Remember the sample method doesn’t change the original list or population. The resulting list is in selection order so that all sub-slices also be valid random samples. A sample method returns a new list so you can perform any list operations on it. Let see how to use the random.sample() method to select more than one item from a list. As you can see we pass k=3 to choose 3 random elements from a list. in return, we got a list of 3 random items. Note: Members of the list need not be hashable or unique. It allows duplicate entries. k must be less than the size of the list. If the list contains repeats, then each occurrence is a possible selection in the sample. i.e., sample method can pick the repeated items from the list if the unique numbers are less than a sampling size. Same like the list we can select random samples without replacement out of a set. Let see this with an example program. Yes, it is possible to select a random key-value pair from the dictionary. as you know, sample() method wants the population to be a sequence or set. So you need to pass all the dictionary items to the sample() method along with the sampling size. You can use dict.items() to get all the dictionary items. If you want to get a random sample with replacement, for example, You have a list of names, and you want to get random names from it, but including repetition then it also possible. To do this, we cannot use the sample method. 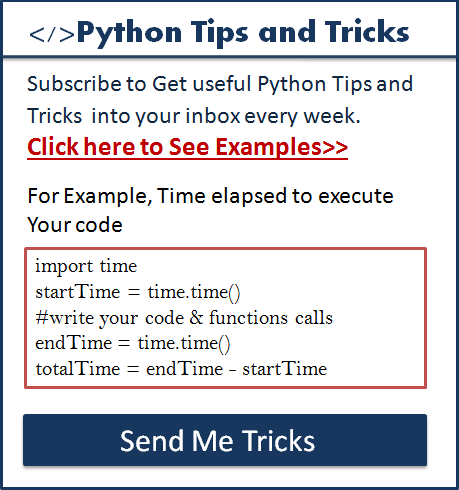 We can do that using a choices method that introduced in Python 3.6. Let see this with an example. random sample without replacement: – If you want to generate random samples without replacement out of a list or population then use sample method. Generating a sample from a range of an integer is possible. You need to pass a range object to a sample method in the place of population argument. Let see this with an example. Why use the range with sample method to pick random numbers? Because it is fast, memory efficient and improves the performance for sampling from a large population. It is possible to get the same list of items every time from sample method. We can do this by using seed and sample method. let see this with an example. To get the same sampled list that you want every time you need to find seed root. Refer to this article to find the seed root of your sampled list. 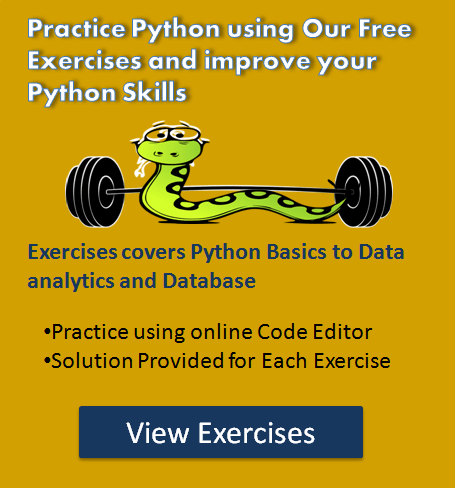 Most of the time we work with 2-d or 3-d arrays in Python. Let assume you want to pick more that one random rows from multidimensional array then how to do it? Let see this with an example. In this example, We used numpy.random.choice() method to pick multiple random rows from the multidimensional array. A sample method can raise the following two errors. TypeError if any of the two arguments is missing.